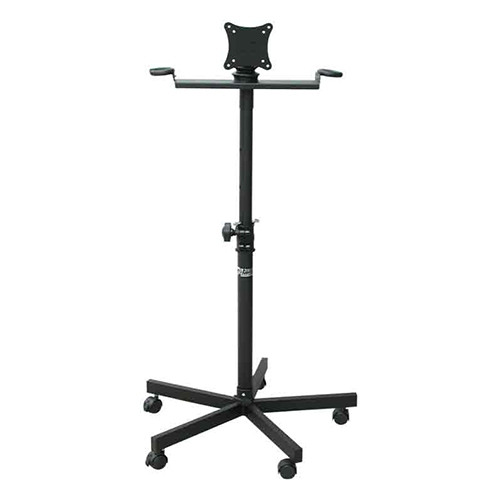 Perfect as a confidence monitor stand, for presentations and karaoke entertainment use. Professional flat-panel monitor/TV stand with a five-leg base, all components composed of high-carbon steel and heavy-duty virgin plastic. 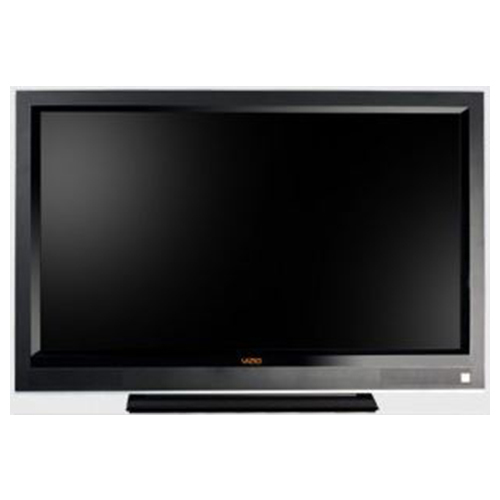 Supporting flat-panel TV or monitor up to 23 inches and weight capacity of 33 lbs. 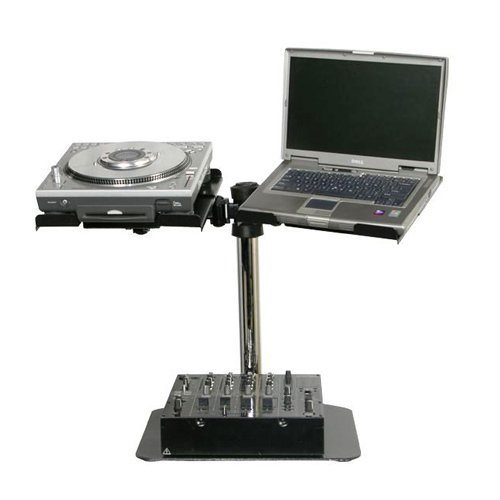 Perfect as a confidence monitor stand, presentations and karaoke entertainment use. Professional flat-panel monitor/tv stand with a five-leg base, all components composed of high-carbon steel and heavy-duty virgin plastic. Supporting flat-panel TV or monitor up to 23 inches and weight capacity of 33 lbs. 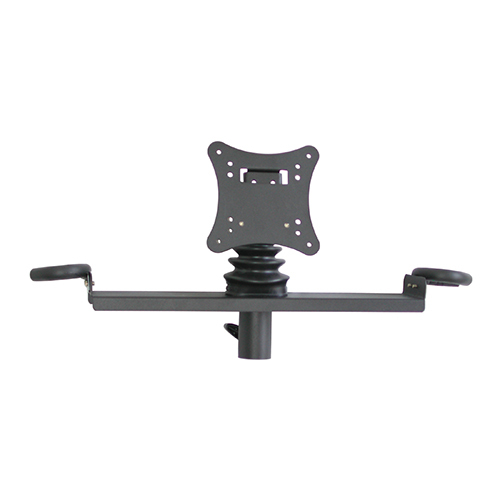 The mounting holes on the mounting plate accommodating two dimensions: 75 X 75 mm or 100 X 100 mm with an adjustable height from 34 inches to 48 inches. 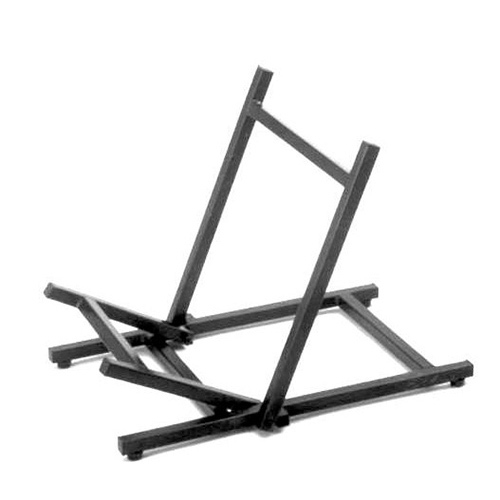 •	Professional flat-panel TV monitor stand with a five-leg base, all components composed of high-carbon steel and heavy-duty virgin plastic. •	Supporting flat-panel TV or monitor up to 33 lbs.